China’s currency, the yuan has dropped nearly 9% in the past six months. 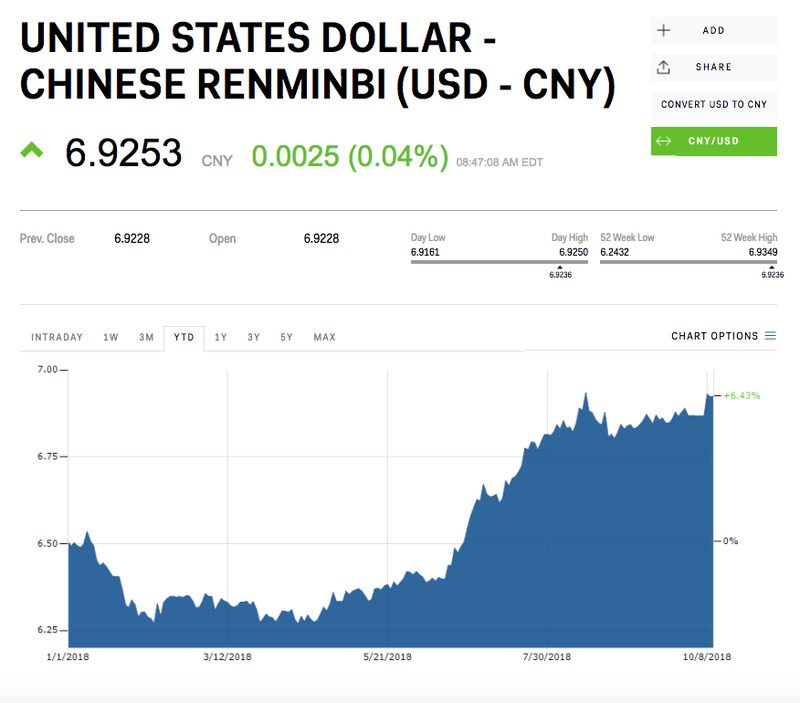 As trade tensions between the world’s largest economies continue to escalate, the US has warned China not to weaken its currency as an alternative to tariffs. 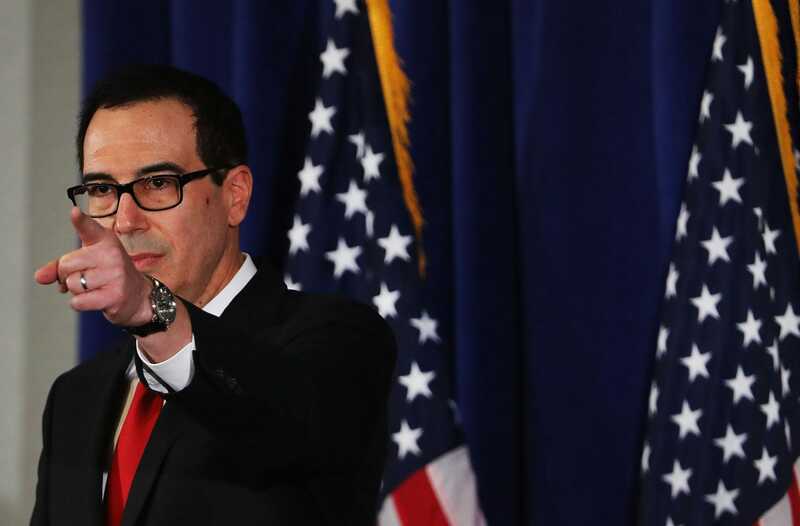 The Trump administration has imposed tariffs on $US250 billion worth of Chinese goods, prompting Beijing to retaliate. The president said this week he is prepared to place duties on all imports from China if trade tensions continue. 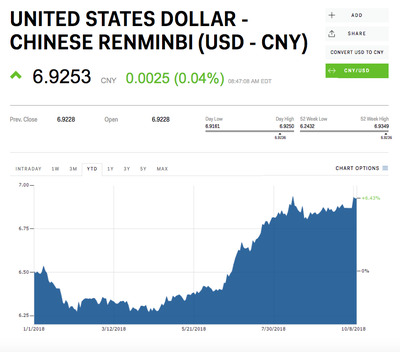 The next Treasury report on China’s currency is due next week.